The nation's capital is a dynamic international mix of diplomatic missions, government, advocacy groups seeking to influence decision makers, companies seeking to influence decisions and federal purchasing, and universities. This makes for a strange mix of officials, politicians, idealists, lobbyists, and students. The capital is also a magnet for immigrants. With a population of 532.000, Washington DC is also city of have and have-nots. The median income is only one-thousand dollars below the national average, but there are many living at or near the poverty line. Like other urban areas, the divide between the have and have-nots is economic, geographical, racial, and social. The wide gap makes Washington one of the most dangerous big cities in America. When making vacation plans, Washington DC is not usually at the top of most people's lists. The reason may be that there are so many different places to visit throughout the country. This is paradoxical, because when we travel abroad, we usually will make at least one stop in a foreign country's capital city. That being said, in Washington DC there are many cultural attractions and exhibits that tell the story of this country's heritage. One can break Washington is divided into quadrants. Northwest (NW) is an economically disadvantaged and underserved area where we worked. Northeast (NE) is mainly residential, contains some more affordable housing, and is also home to some embassies. Southeast (SE) contains many federal offices. The city is growing in this direction, and the old neighborhood is being replaced by new offices and more expensive homes. Southwest (SW) is is a more affluent area where DuPont Circle and Adams Morgan are located. 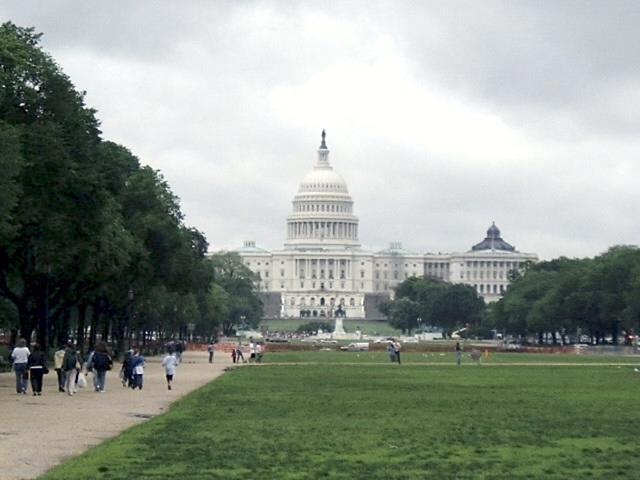 SE, the federal district, includes congressional office buildings, the Supreme Court, and Capitol Hill. The Hill faces the Washington Monument. In between is an area called 'the mall,' and this long stretch of grass is lined with this country's national galleries and exhibits. Notable attractions include the Library of Congress, National Archives, the National Aquarium, National Gallery of Art, and the Smithsonian Institute. The executive branch that includes the White House and the Old Executive Building is bounded on one side by Pennsylvania Avenue and on the other sides by commercial office buildings filled with lobbyists and NGO's. This office area runs north through Chinatown and up to the new Convention Center in NW. SW, DuPont Circle and Foggy Bottom are the home to many foreign embassies and George Washington University (GWU). DuPont Circle is also home to many of Washington's finest restaurants, night clubs, and prestigious addresses. North of DuPont Circle is Adams Morgan. This neighborhood was formerly an affordable artists community. Over the last fifteen years, it has been given an upscale transformation. The Foggy Bottom area is home to GWU and overlooks colonial Georgetown. Separated by geography from the rest of Washington DC, Georgetown has staunchly maintained its independence from the city proper. It is home to the nationally reknowned Georgetown University, has many local college bars, and trendy retail stores. Georgetown is also home to Washington's elite. As such, it has some housing that is priced higher than many DC residents lifetime earnings. It also successfully resisted being added to Washington's democratic subway system, the Metro. The addition of a subway terminal would have made it easier for the area's less affluent inhabitants to venture into Georgetown. A one year installation of Lawson Financial, Human Resources, and Procurement suites at a nationally known academic medical center.